Foreign Direct Investment (FDI) in its classic definition is defined as a company from one country making a physical investment into building a factory in another. It can also be defined as an investment made to acquire a long-term or lasting interest in enterprises operating outside of the economy of the investor. The investment is direct because the investor (being a foreign person, company or group of entities) is seeking to control, manage, or have significant influence over the region enterprise. FDI is a major source of external finance which means that countries with limited amounts of capital can receive funding beyond national borders from wealthiest countries. Exports and Foreign Direct Investment have been the two ingredients in china’s rapid economic growth. China opened up the economy to FDI in 1979 for acquiring advanced technologies, foreign capital and management skills necessary for stimulating economic growth and upgrading the industrial structure. China positioned itself at an attractive position by offering various financial and fiscal incentives including import duty exemptions and financial subsidies to the outside world. By almost all accounts, China’s FDI has been one of the major successful stories in the last ten years. China achieved an impressive economic growth with an average rate of over 9% in 1978-2005, the highest in the world within the same period. According to 2015 World Investment Report published by UNCTAD, China has become the world’s largest FDI surpassing the USA. China is also a number on at the 2015-2017 list of the economies most attractive to multinational companies. In 2015, the FDI in China continued growing increasing by 6.4% compared to 2014. 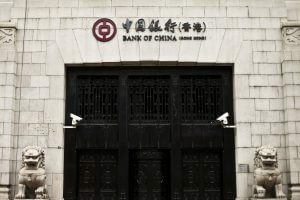 China has a large and rapidly expanding market which is not overly affected by the financial crisis. China is a base for low-cost production thanks to its strong potential, prospective partner’s eagerness to learn and evolve and its wealth of employees. The success China has had in mobilizing inward Foreign Direct Investment is insurmountable. Investors have been drawn to China because of its sheer size and growing domestic market as well as the country’s enormous investment opportunities. China received over $100 billion in 2008 and about 20% of all the FDI to the developing countries for the last 10years. Also, over the past five years, FDI accounted for 2.5% of the China GDP and investments which are quite big considering the overall economy of the country. According to the Ministry of Commerce, the foreign invested enterprises make up for over 50% of China’s imports and exports. They provide for about 30% of Chinese industrial output, employ only 10% of labor and generate 22% of industrial profits. It’s believed that industries with higher FDI have higher productivity compared with the other industries. Importantly, FDI has catalyzed China’s economic reforms and has helped maintain a record-high 10 percent growth rate during most of the 1980-2010 period. The main types of FDI in China include equity Joint ventures (EJVs), investments by wholly foreign-owned enterprise (WFOEs) and contractual joint ventures(CJVs). They differ in degree of control by foreign firms, management structure, and legal form. A WFOE is a limited liability entity solely owned and operated by a foreign investor who bears all the risks and costs and also receives all the profits. On the other hand, an international EJV is a firm whose resource commitment, risk sharing, control, and management, as well as profit distribution, are based on equity shares of the partners while in CJV they are based on the contract. In China, EJVs are the most preferred by the government since the country believes it better serves the objective of absorbing foreign capital, technology, and management expertise. However, most investors prefer WFOE to avoid incompetent or uncooperative partners, fear of loss of control over proprietary technology as well as differences in strategic objectives between partners. China’s Foreign Direct Investment policies have evolved alongside strengthened institutional capacity and economic development. In the process of liberalization, a prudent and gradual approach has been taken. China experimented with opening up foreign investment in selected special economic zones/ industrial parks and coastal lines in the 1980s and 90s when market institutions were not yet in place with a focus on attracting export-oriented manufacturing Foreign Direct Investment. After China’s accession to WTO, China made a radical commitment to services liberalization and shifted its development goal focus from an emphasis on GDP growth towards a more harmonious balanced development. This resulted in the shift of Foreign Direct Investment to the service industries. In 2009, manufacturing FDI increased by 81% while FDI increased thrice from that of 2000. China is at the center of regional production networks in East Asia, which have been substantially growing in the past few years. China appearing top of the UNCTAD World Investment Perceptions report clearly shows how extraordinary the results have been. Traditionally, Taiwan and Hong Kong SAR have been the most important sources of FDI but lately the growth of investors from Europe, Japan, and the USA has been on the upsurge. China has been very open in most service industries and almost all manufacturing industries. China has had such a robust approach that served it perfectly well to weather the financial crisis. In the coming future, it’s predicted that there would be further liberalization of backbone services such as telecommunication and finance. Policy implementation and highly decentralized FDI approval in China create more opportunities for a much healthy competition for FDI among local authorities. Unfortunately, it also causes excessive bureaucracy and corruption. Open communication between government and business community as well as transparency of regulation is very critical in such a decentralized environment. To work on this, the local governments are always seeking to see to it that there is administrative and operational efficiency during the approval process. There is the one-stop facility in place which allows investors to work on all the procedures just at one place. The only challenge that China is facing is how exactly to attract the right kind of FDI as it’s striving to improve the environment, to rebalance its economy and move up the value chain. To this effect, it has executed more selective FDI strategies focusing on more energy efficient, technology advanced and environmentally sustainable industries. It’s also working on providing a level playing ground for all the firms, regardless of whether they are foreign or domestic.